At the end of March 2016, Tesla presented its latest sedan electric car, model 3. In front of hundreds of journalists, investors and electric car enthusiasts, Elon Musk was stunning and explained what the model looks like. Musk, the CEO has managed to convince many people. In 24 hours, Tesla received 150,000 orders. In fact, Tesla did not produce much model 3. Customers must be patient to wait until the end of next year. A month later, demand for Model 3 continued to increase. Until April, 325,000 orders were received by Tesla. This figure is fantastic, given that last year Tesla only sold 50,658 vehicles. Indeed, for an electric car, we can say that the model 3 is relatively cheap. Its price is $ 35,000, or about 466 million rupees. Clients must only pay $ 1,000 in advance. Compared to its predecessor, the Model S, the price of the latter model is only half. The Model S costs about $ 71,000. Although relatively inexpensive, Musk calls this latest five-star model in each category. 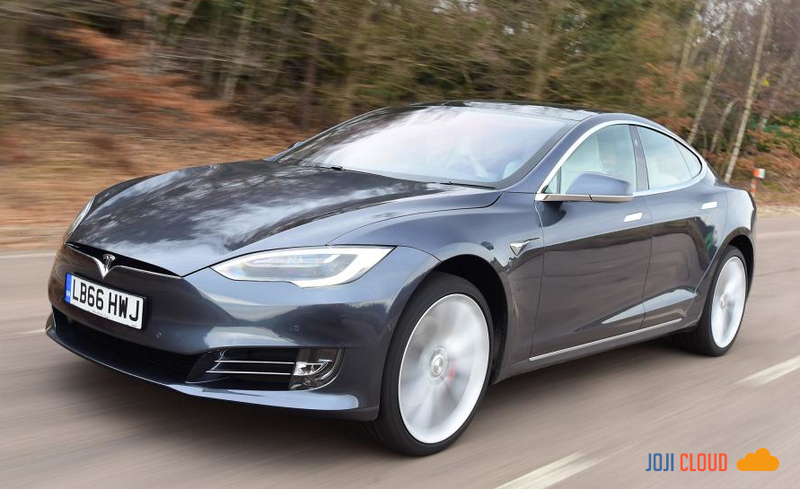 The Model S can travel a distance of 346 kilometers per charging time. It is also equipped with a hardware autopilot. As demand is rising sharply, Tesla has multiplied its production plan by five and two years faster than the original goal. Previously, this American company was targeting a production of 500,000 per year from 2020. However, in the first quarter of this year, Musk amazed investors by promising to advance the goal of two years faster, namely 2018. Did Tesla fulfill this promise? "The fivefold increase in production over the next two years is certainly very difficult and requires more capital, but that is our goal and we will work hard to make this possible," Musk said in a report to investors. Musk does not play games, to achieve this goal, Tesla built a Gigafactory in Nevada. This Gigafactory will become a battery manufacturing plant. Producing more cars means more batteries. In addition, Tesla now has a line of activity in the energy sector that sells battery-powered chargers, the storage of solar energy, called Powerwall. Plant that spends $ 5 billion of investments or around Rp. 65 trillion, covering an area of ​​5.8 million square feet, the equivalent of 100 times a football field. The design of the lobby is very typical of Tesla: super large windows, high ceilings, shiny white floors and black leather armchairs. A Powerwall battery hanging from its wall looks like a modern work of art. Gigafactory is designed to reduce battery costs by at least 30%. The name Gigafactory is derived from the word Giga, which means a unit of measure representing billions. A GWh is equivalent to consuming 1 billion watts for an hour. The entire roof of the plant is covered with solar panels that will be a source of energy. In this plant, 35 GWh battery cells and 50 GWh packaging batteries will be produced each year. This number is not the maximum limit, Gigafactory is able to produce more than that. The Model 3 battery will be manufactured in this giant factory and sent by train to the Tesla plant in Fremont, California. About 350 employees are currently working for Gigafactory. The largest battery manufacturer in the world has started operations since March 31st. Without a doubt, Tesla also bought land around the plant site to prepare for the expansion potential. The latest sedan from Tesla is not the only one to offer brilliant orders. The first quarter of this year, the number of orders from Model S, its predecessor, also increased by 45% over the previous year. Most orders come from North America and Europe. At present, the Model S still dominates the market share of sedan electric cars in both regions.